Hi Everyone! I’m Susan from Friendly Froggies. I’m so happy to be hopping over to Renee’s blog to share some Valentine’s Day hugs! I’m lucky to be able to teach with Renee in First Grade. We are all missing her at school these days! Luckily, I still get to see her sweet boy in class everyday! We’ve been learning and practicing our addition and subtraction strategies like crazy! 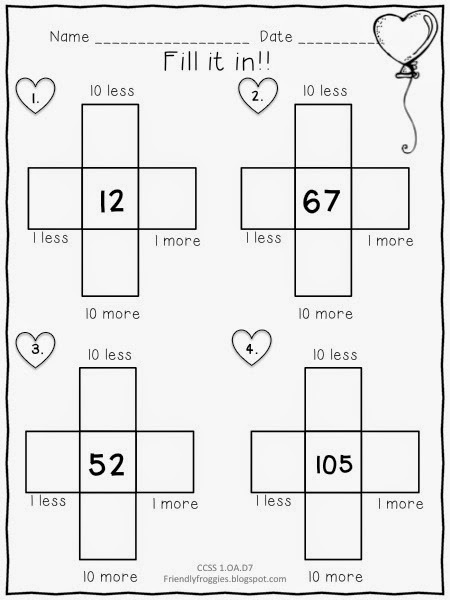 I want to share some fun ways we like to practice the strategies of “10 more, 10 less, 1 more, 1 less”. 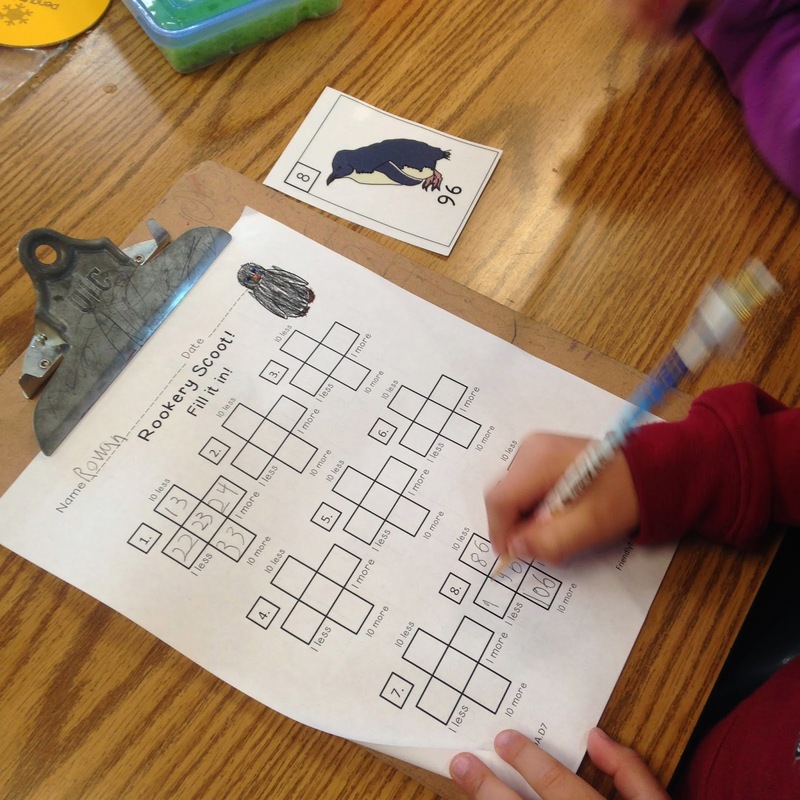 During our calendar time each day, we fill in our “fill-it-in” chart whole class. I’ve created several of these to go with our thematic studies and holidays! 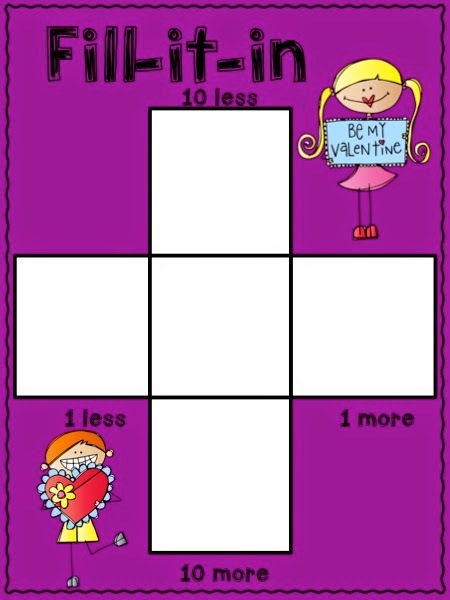 This is what we will use the week of Valentine’s! During our calendar time, we enter the day of school in the center and then the “Deputy of the Day” fills in the missing numbers! 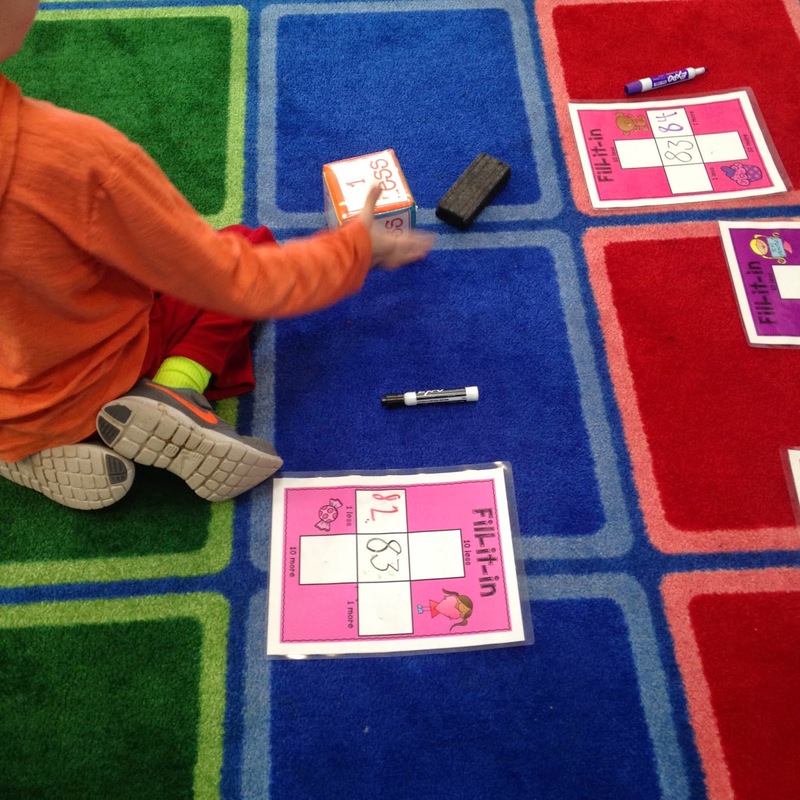 During Math Stations, I will use these same mats for small groups! 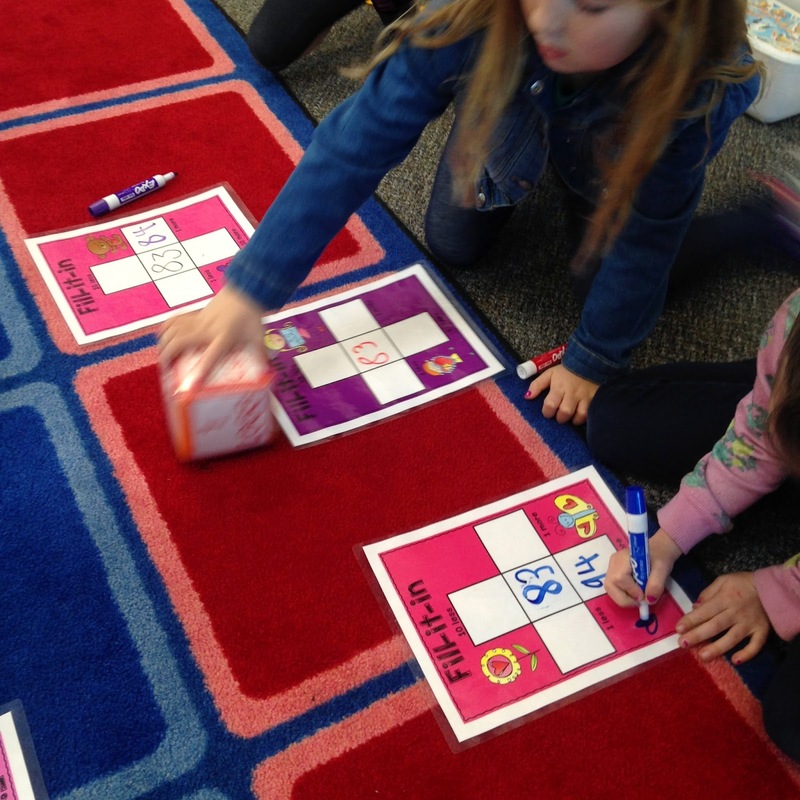 The kiddos take turns rolling the numbered foam dice and enter the number rolled in the center square! Then on each turn, they roll the “action” die and fill in their chart. 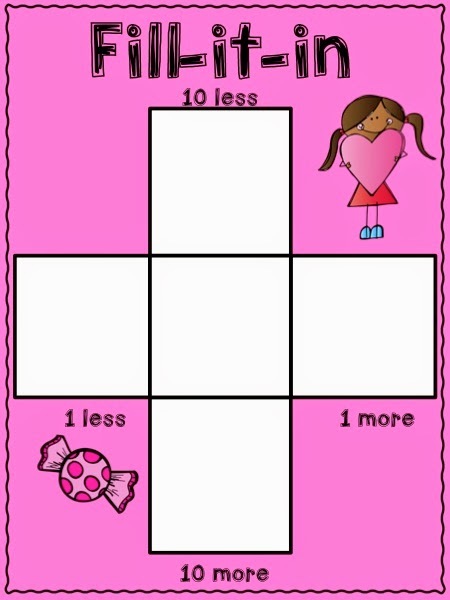 The winner is the student who completes their chart first! This will turn into an independent math tub after we’ve played in small groups! I highly recommend hanging up a 120s chart in your classroom! I still have some of my little sweethearts that have to use it for a reference! That’s fine with me! The more they use it, the more they understand it! 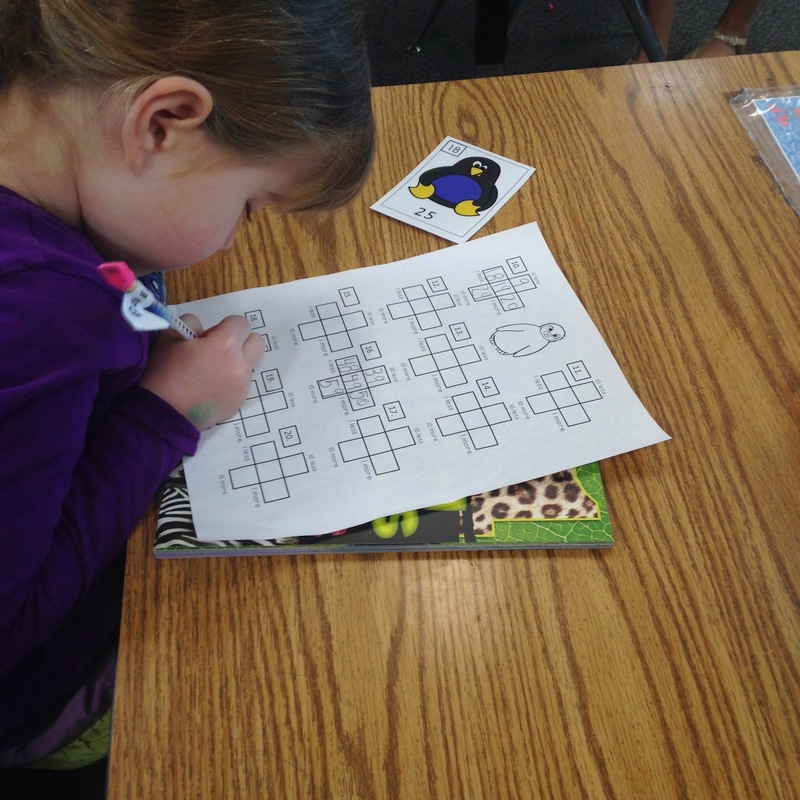 One of our favorite things to do is play scoot! 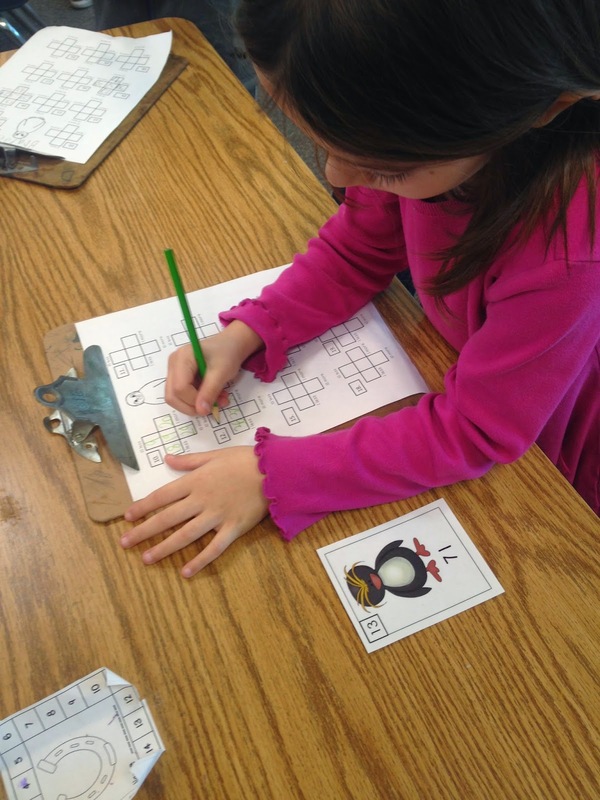 We are wrapping up our Penguins Unit right now and just had a blast playing scoot with our penguin themed set! Scoot is also included in my Valentine’s Set! This is great practice for Part, Part, Whole! 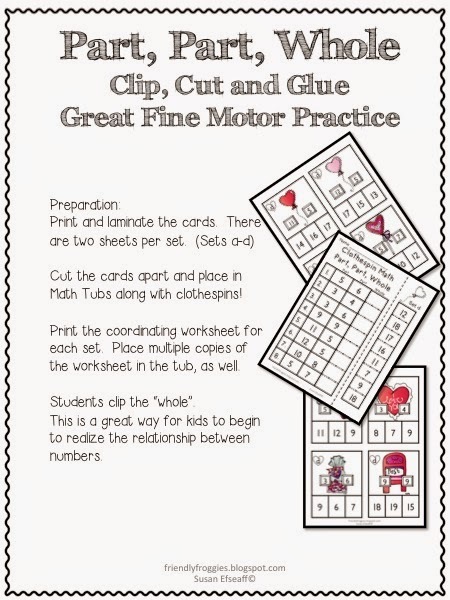 I place these cards in a math tub and my students use clothespins to clip the whole of the two parts! They love this! 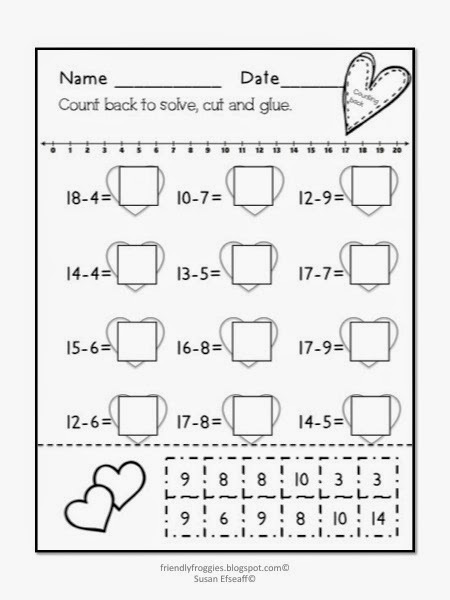 There is a coordinating sheet to record their answers, also! 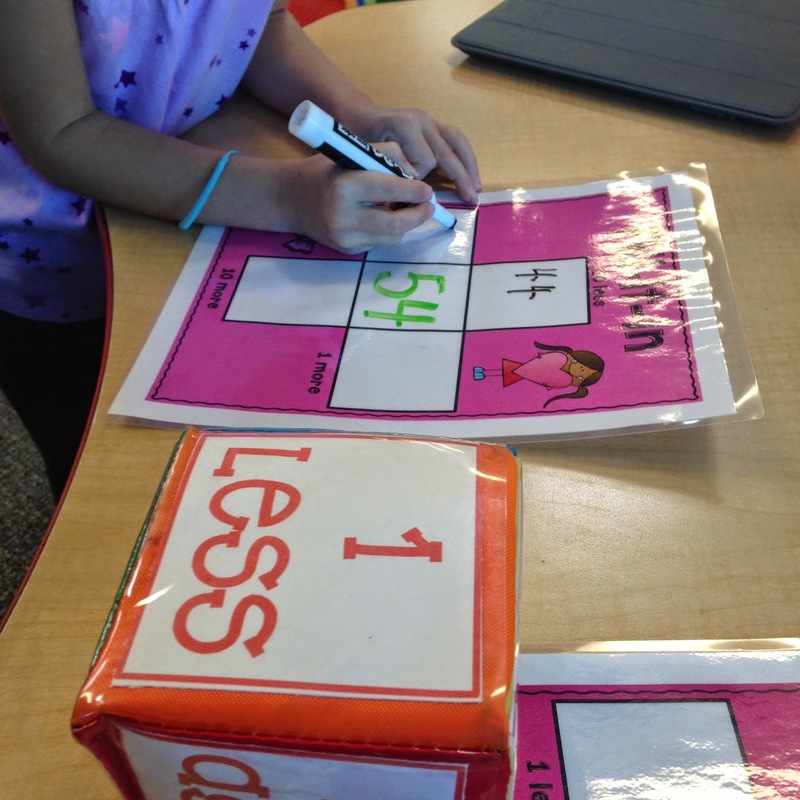 I use these smaller versions of the fill-it-in for morning work! 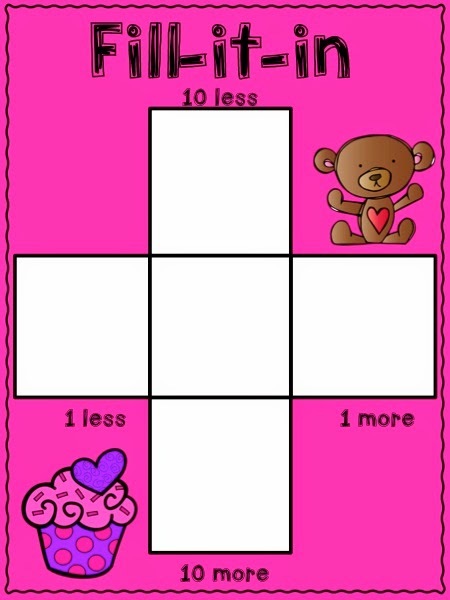 This gets my kids ready for math and using mental math! We review these as a class or at my teacher group for focus lessons. 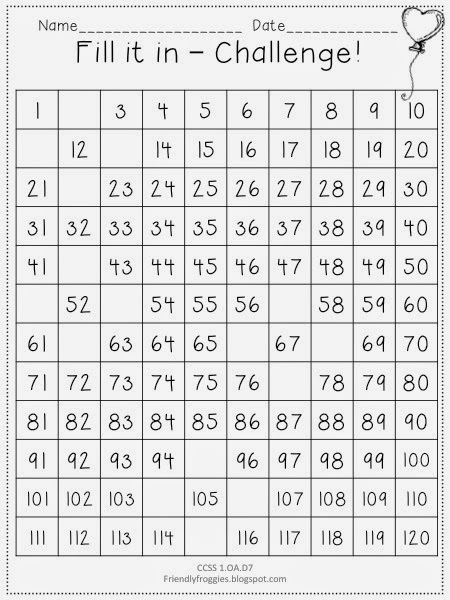 Again, make sure you have a 120s chart available for reference! 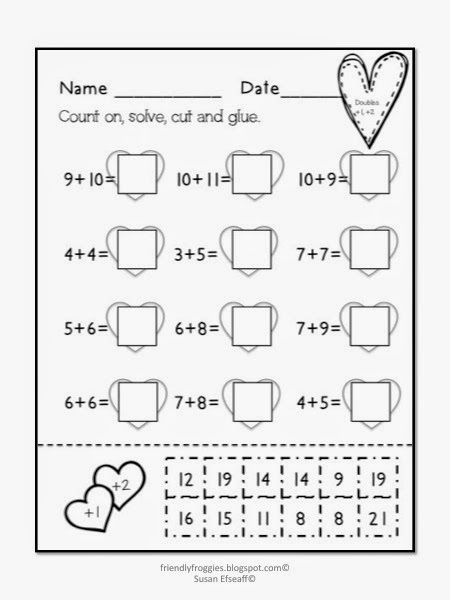 These are included in this resource to review the “doubles, +1, +2” strategies and “counting back” strategy! I hope you got some new ideas from my post today! If you want to try out any of my resources, please check them out by clicking the pictures below! 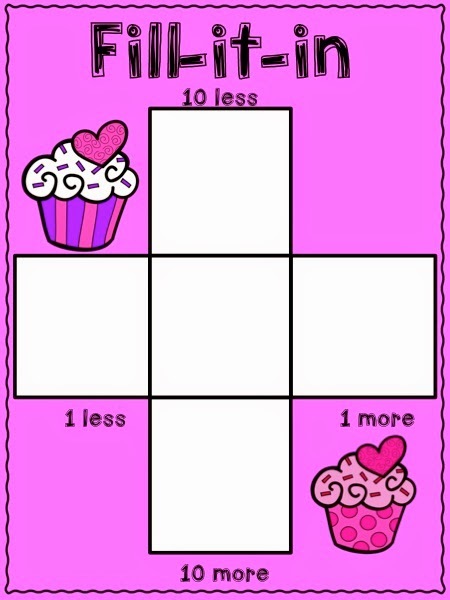 And just for sticking with me through this post, try out this Freebie and see if “Fill-it-ins” work for your kiddos! « Extra! Extra! Read All About it! A Freebie Included!